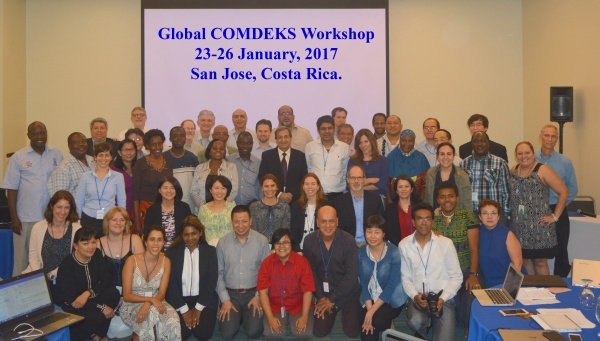 This month’s newsletter contains a report from the recent COMDEKS Global Knowledge Exchange Workshop, plus an announcement of an upcoming International Symposium on Biodiversity and Sustainability to be held here in Tokyo. We are also pleased to inform you that both the final summary report of the interim review of the IPSI Plan of Action 2013-2018 and an updated version of the IPSI case study guidelines are now available. Finally, we are including an introduction to one of IPSI’s newest members, the Ancient Grains Foundation in Tuscany, Italy. The Community Development and Knowledge Management for the Satoyama Initiative (COMDEKS) project is a unique global programme, implemented by the UNDP as a collaborative activity under IPSI from 2011 to 2017. The project held its Global Knowledge Exchange Workshop from 23 to 26 January in San Jose, Costa Rica in order to promote the Satoyama Initiative, build capacity among participants and promote further synergies, and to analyze results and conclusions of the project, which is now in the finalizing stages. Almost all of the National Coordinators, who are in charge of overseeing the projects funded by the Japan Biodiversity Fund through the GEF Small Grants Programme and implemented in the 20 COMDEKS countries, were able to attend the workshop, as well as members of the IPSI Secretariat and many other IPSI friends. The workshop consisted of three days of presentations and discussions, plus an excursion to some of the COMDEKS project sites in the Rio Jesus Maria watershed in Costa Rica. For more information on the COMDEKS project, please see its website here. IPSI members the United Nations University Institute for the Advanced Study of Sustainability (UNU-IAS) and the University of Tokyo Integrated Research System for Sustainability Science (IR3S) will co-host a symposium that will bring together leading experts to discuss the integration of social and ecological systems. Prof. Kazuhiko Takeuchi of UNU-IAS will give a keynote speech touching on his role in developing the Satoyama Initiative, and several other friends of IPSI will give presentations or serve as panelists. Expected topics include the valuation of ecosystem services, with a view to contributing to building societies in harmony with nature, achieving the Sustainable Development Goals (SDGs) and promoting sustainability science. 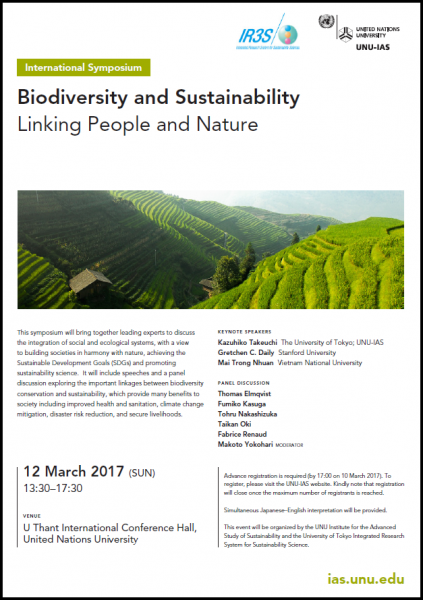 The Symposium will be held on 12 March 2017 from 13:30 to 17:30 in U Thant International Conference Hall in the United Nations Headquarters building in Tokyo, Japan. For more information and registration details, please see the UNU-IAS website here. The summary report of the interim review of the IPSI Plan of Action 2013-2018 has been finalized and is now available for download on the IPSI website. All readers, and particularly IPSI members, are strongly encouraged to take a look at the report, as it contains a great deal of information about IPSI’s progress since its establishment and recommendations for the future development of the partnership. The interim review was stipulated in the Plan of Action itself and carried out by the IPSI Secretariat, in close consultation with the IPSI Steering Committee and with support and inputs from the IPSI membership. The report is available for download on the IPSI website here. Based partly on the results of the review of the first 80 IPSI case studies completed in 2015. the IPSI Secretariat has worked with partners to develop an updated version of the case study guidelines. IPSI’s case studies are an important piece of the knowledge base related to socio-ecological production landscapes and seascapes, and we hope the updated guidelines will help to make the submission process smoother and the case studies themselves more effective. In addition to clarifying and improving various aspects of the submission process, a “summary sheet” has been created, to be submitted along with case studies, to make the information contained in them more easily accessible. Please keep in mind that all IPSI members are required to submit at least one case study within six months of joining the partnership. If you have not yet submitted yours, please contact the Secretariat to do so as soon as possible. We are still happy to receive them even if it has been more than six months, and we always look forward to any updates to existing case studies. The updated case study guidelines are available from the IPSI website here. Please contact the IPSI Secretariat if you would like the guidelines and summary sheet sent to you by email. The “Associazione Grani Antichi di Montespertoli” is a non-profit organization founded in 2010. Its mission is to promote the conservation and sustainable cultivation use of ancient Tuscan grains through information sharing, farmers education and sponsoring its diffusion in the local community. The association works to make sure that the grains preserve their qualities, controlling the chain of production and transformation and protecting its unique products using a trademark. 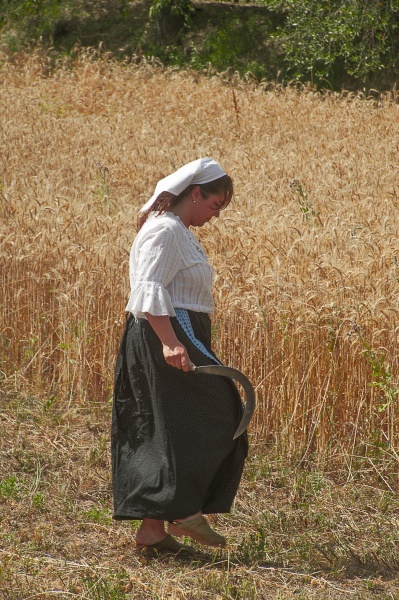 All Tuscan indigenous varieties of wheat, called Ancient Varieties, may be traced back to the work of a group of geneticists in the early 1900s, who selected varieties already present in Tuscany. The selection of new varieties and research in all fields of agriculture were essential to the success of Tuscan food through history. In the 60s and 70s, all the native varieties were abandoned to introduce new ones, more productive and worse for the environment as they were and are cultivated with the use of herbicides, pesticides and fungicides. In addition, with globalization of wheat production, prices collapsed and farms started to abandon wheat and cereal cultivation in the area. The Ancient Grains Association has reintroduced ancient varieties with the help of the University of Florence. A fair price is paid to the farmers who can in exchange follow the association’s guidelines including organic cultivation, respect for biodiversity and the environment. Both demand and production are booming as it was discovered that ancient varieties are better for human health. The association also supports the production chain from milling to baking and making pasta. For more information, please see Ancient Grains website here.